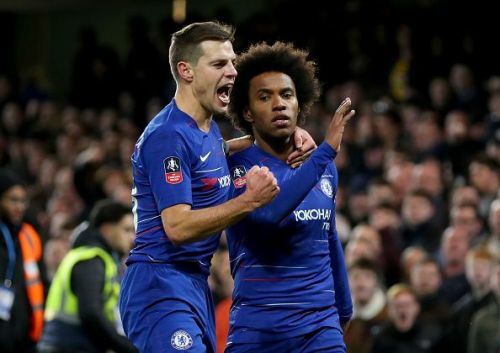 Chelsea breezed past Sheffield Wednesday to progress to the round-of-16 of the FA Cup, courtesy of goals from Willian (2) and Callum Hudson-Odoi. Gonzalo Higuain was handed a debut start, but the veteran forward failed to give his side the advantage. Willy Caballero's goal was rarely troubled as Chelsea dominated the game for large spells and never looked like giving it away. The Pensioners had a penalty given against them, but VAR overturned the decision in their favor. 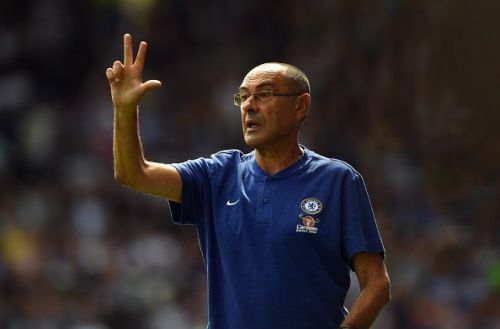 With over 80% of possession and 861 completed passes, Maurizio Sarri and co. eased through to the next round. Although this might have been the last game for Hudson-Odoi in a Chelsea shirt, he took away the man of the match. On that note, let's take a look at the major talking points from Chelsea's comfortable victory over Sheffield Wednesday. As many would've guessed, one major talking point of the game was the inclusion of new boy Gonzalo Higuain straight into the playing XI. Sarri made as many as eight changes to the side that beat Tottenham Hotspur on penalties in the Carabao Cup semi-final, with the likes of Andreas Christensen and Ethan Ampadu coming in. Firstly, Willy Caballero started in goal, replacing Kepa Arrizabalaga, who starred in the penalty shootout against Spurs. The back line saw two changes, with Marcos Alonso starting at left back and Andreas Christensen replacing David Luiz. Jorginho and N'Golo Kante were granted much-needed rest as Ethan Ampadu played at the heart of midfield, alongside both Ross Barkley and Mateo Kovacic. Down the right, Sarri fielded Callum Hudson-Odoi, who had reportedly requested for a transfer away from Stamford Bridge amid ongoing links to Bayern Munich. While Willian started, Higuain spearheaded the lines. Meanwhile, Alvaro Morata, who is widely expected to leave on loan to Atletico Madrid, wasn't even on the match day squad. Victor Moses had earlier penned a deal for Fenerbache, which means he too, wasn't included.